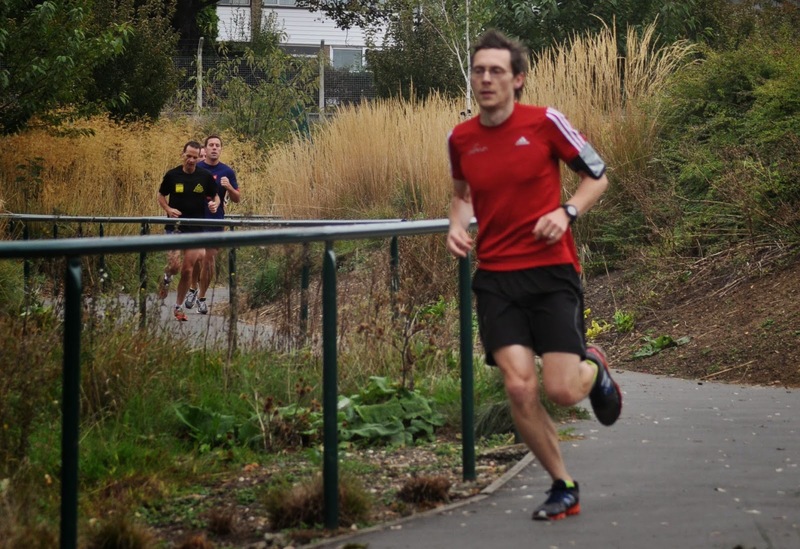 The day after Dartford parkrun event 9, I ran the last ever Les Witton Dartford 10 during which I managed to re-awaken a foot injury which prevented me from running for 3 months in early 2013. It is now that I am supposed to say 'so this week I didn't run the parkrun'. However, although I had transfered my midweek training to the bike, I am a runner and runners are sometimes a silly bunch; especially when it comes to injuries and for me that means a huge reluctance to miss my favourite run of the week. 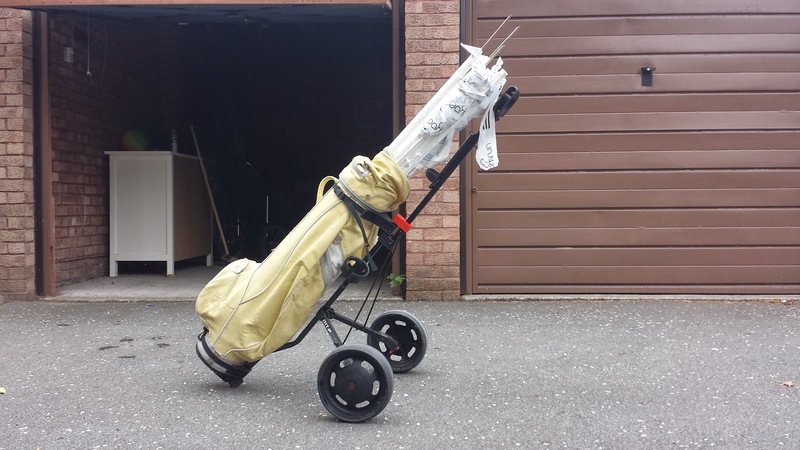 As promised in last week's blog, I can reveal the new method for transporting the stanchions to the park (this is until we get the storage box sorted out), it is a golfing bag on its wheels. This allows me to jog over to the park without crashing into lamp posts. So I took my first running steps in almost a week on the way to the park and my foot didn't do anything that convinced me to sit this week out. So after setting up the course with Richey (ED), I took my place on the start line to run at our tenth event - Oh yes, we are now in double figures! How did that happen? Anyway I went for a cautious start to see how my foot would react. One of the younger lads slipped on the grass during the trail section so after checking if he was ok (he was) I carried on. I held back a little during the first kilometre and found that over bumpy ground it felt a little uncomfortable but once the underfoot surface was smooth the foot felt ok. I decided that it was about time that I gave the old parkrun 50 club tee an airing - I hadn't worn it for well over a year and it felt good to be wearing it proudly again. The weather conditions promised to be pretty good but yet again once the running started it actually felt a bit on the humid side. The rest of the Stockwell clan were marshaling in the usual spot and this week they were joined by my mother in law who was visiting from Germany. I increased the effort level so that by the halfway point I was running almost at my usual 5k effort level. As always with a 5k, it's over before you know it and I was slipping on the purple bum bag, volunteers' vest and the barcode scanner. 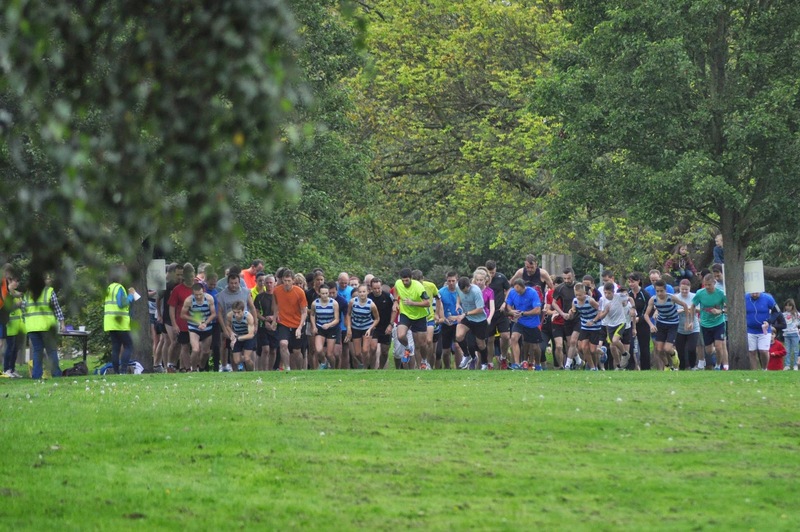 This week numbers were down again with only 89 runners present, and I'm pretty sure that I spent a lot of time chatting when I was supposed to be scanning (whoops). Oh, and the bugs were biting the hell out of me again. After the run my foot actually felt the same, if not better, than before I started. Which I thought was odd. The good news is that it doesn't seem to be any worse, however I will continue with 100% of my midweek training on the bike in an attempt to reduce the impact on it. It's made me realise just how much I had missed being out on the bike, so I am going really looking forward to doing lots of cycling.